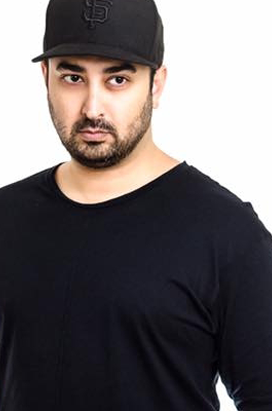 Bardia F is known best for his productions under his co-owned record production company, Blue Orb Records. As a Persian-American producer, his roots of electronica started in Tehran, Iran and then to Istanbul, Turkey and eventually brought him to San Francisco and it’s well known underground scene. Then, inspired by his wife’s (DJ ThuyVu’s) musical pursuits and accomplishments, Bardia began DJing and focusing on music production. His first release, “Dark Nights,” was well received by San Francisco DJs, and many of his unreleased tracks such as “Victory,” “I’m Gonna Get You,” “Tonic,” “B Man,” and “You and I” gets continual full exposure in the techno and house industry. His inspirations are drawn from highly creative people and exotic locales: Adam Beyer, Audiofly, Ahmet Sendil, Rooz, DJ ThuyVu, Ramtin Vadati, Angy Kore, Alex Costa, and Loco Dice. Embracing the most avant garde tools and technology, Bardia endorses Reason and Ableton Live in his productions to create forward-thinking music set to strike any dancefloor for any occasion.